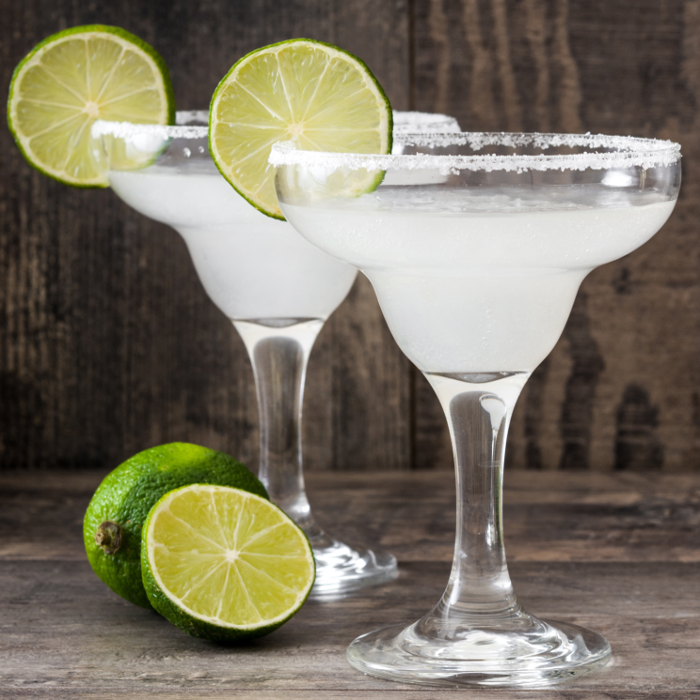 Enjoyed by many, making a margarita at home can seem like a difficult task. With the main ingredient to this classic cocktail being Tequila, to make this bitter, citrus drink go and get yourself a traditional cocktail glass to help create the ultra-classic image. Fill the shaker with lots of ice before adding the tequila and Cointreau. With half a lime, squeeze the lime over the cocktail shaker to create the lime juice. With the lid placed on top over the shaker, shake the ingredients for around 30 seconds. You will know that you have completed shaking the mixture as the cocktail shaker should be completely cold when touching with your hand. The cocktail glass should now be chilled, empty the ice and run a wedge of lime around the rim of the glass. Roll the rim of the cocktail glass around salt, the rim of the glass should be covered in salt. Fill under half of the cocktail glass with ice. Using a strainer, pour the mix into the glass and over the ice.